Watch her fly away!! 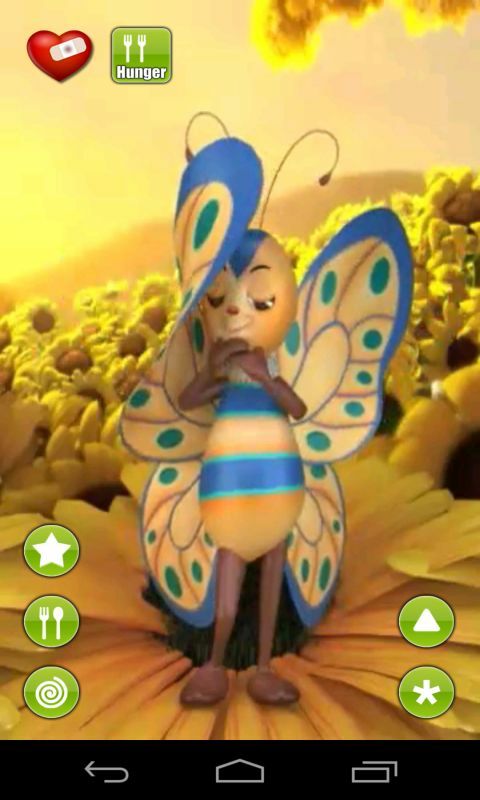 Talking Beth Butterfly is a fluttering adorable butterfly! She's an adventurous one! Talk to her and she talks back to you. 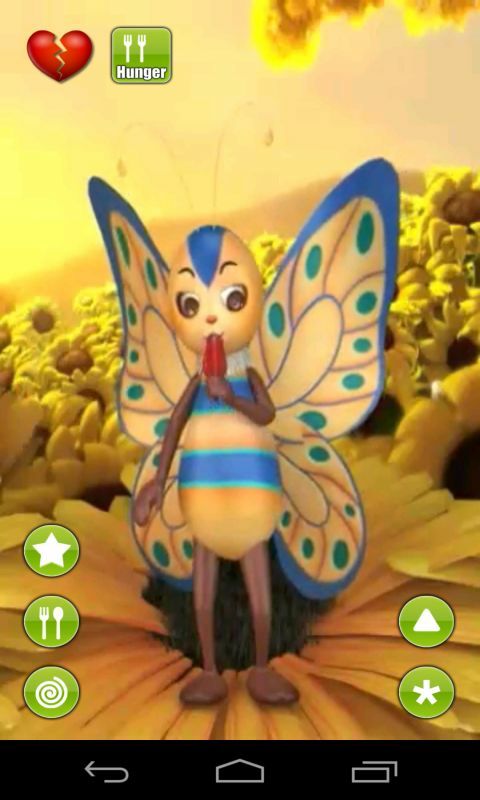 The perfect talking children's app for all ages, available for FREE! 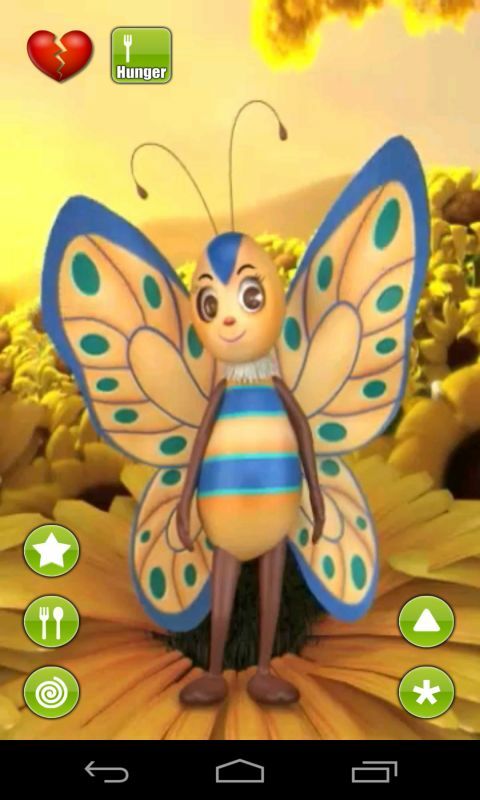 Download the Talking Beth Butterfly app today and start the fun! 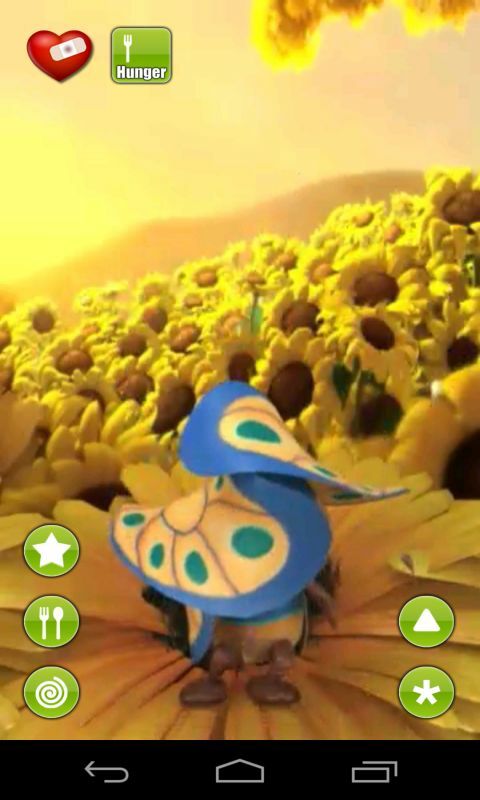 NOTE: opening the app for the first-time ONLY requires a one-time download for the 3d graphics. 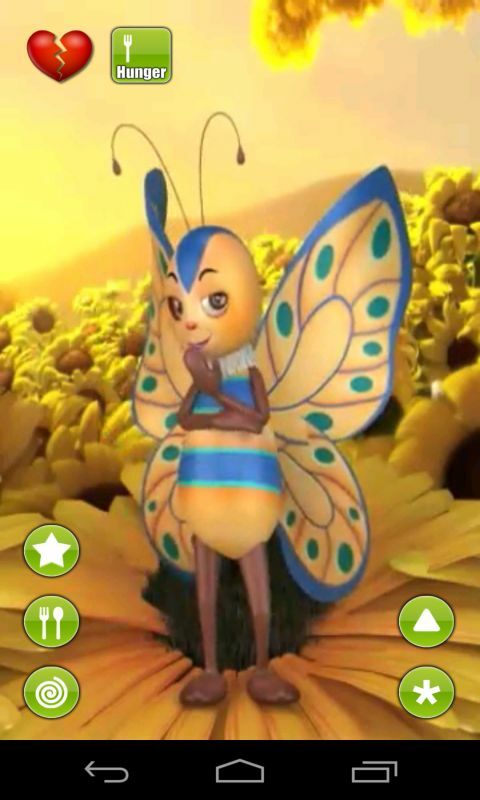 Features ★ talk to Beth Butterfly and hear her repeat your words back to you ★ slap her face touching your finger on her head ★ tap her stomach to punch her! ★ tap her legs to make she fall down! ★ slide your finger on her stomach to make her giggle ★ press a button to give food! ★ press a button to see her laughing! ★ press a button to see her hiding! 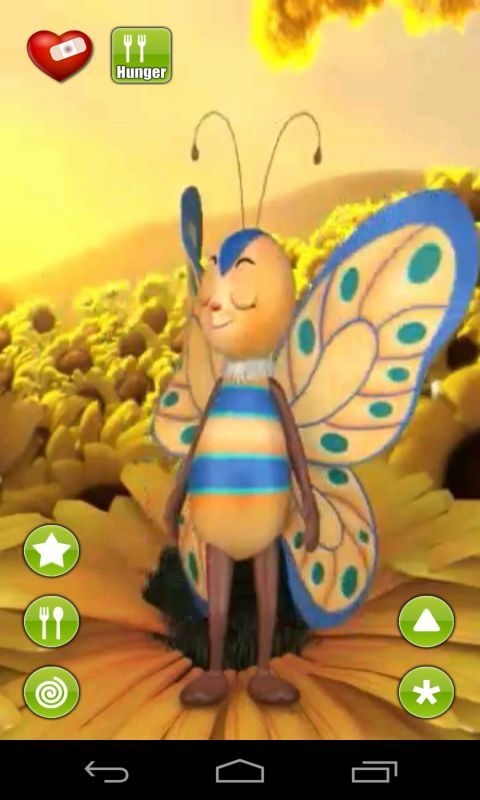 ★ shake the app!